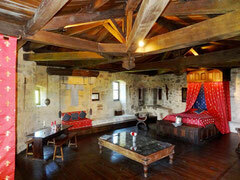 Mini Breaks at Tennessus Castle - Welcome to Tennessus Castle, french medieval b&b rooms with swiming pool ! BEST of British ...and French ! 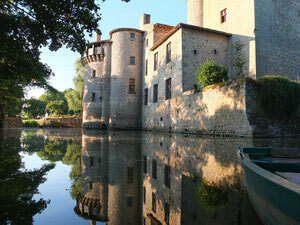 Take a short break from the strains and stresses of modern life and slip back 600 years at beautiful Castle Tennessus in the heart of French Poitou. Lose yourself in the history and tranquility of a place where time stands still and only the bathrooms are comfortingly modern. - Have breakfast( full English or continental) in the XIVth century vaulted chamber ..
- Savour our gourmet picnic dinner by candlelight in your amazing bedroom. - Stroll through the period potager and sample some of our home grown produce. - Best of British... and French ! - Familiy fun Weekend Break (2 nights).